Board your comfortable riverboat, Miss Mallory or Matthew Hayes, to begin your journey along Washington DC's Potomac River. 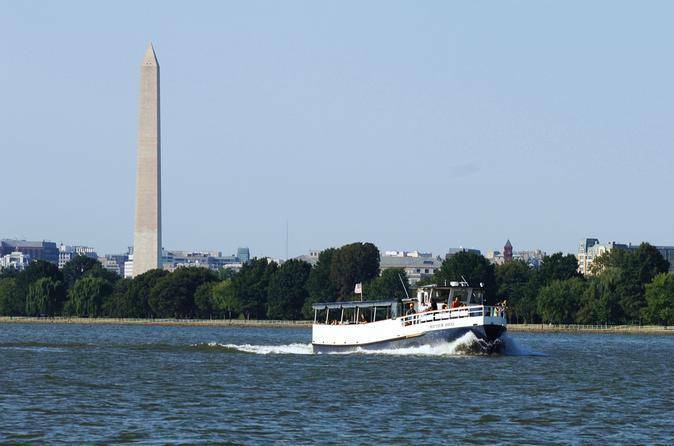 Listen to a narration about Washington DC's history and many iconic sights as you cruise past top attractions including the Lincoln Memorial, Jefferson Memorial, Washington Monument, John F Kennedy Center for the Performing Arts, Arlington National Cemetery, Arlington Memorial Bridge, and the 14th Street Bridges. Marvel at the architectural details of the various landmarks on afternoon cruises, or see them lit up at night. Note: Your Captain may choose either Miss Mallory or the Matthew Hayes pending weather and boat conditions.